A cookie is a little snippet of data that websites can save to systems of users connecting to them. While web browsers ship with options to block cookies by default or prompt users for action, the default way of handling cookies is to allow them to be saved automatically. Cookies are not necessarily bad as they can be used for a variety of legitimate purposes such as saving the logged in state of a user or site preferences without account. Cookies do have a bad reputation though which comes from the fact that they are used for tracking purposes. Generally speaking, you need to distinguish between first and third party cookies. First party cookies are saved by the hostname you are on. If you visit Ghacks and my site would save a cookie to your system, that would be a first party cookie. Third party cookies on the other hand are saved by external domain names, say a Facebook or Google ads cookie. This only happens if the site has embedded third party scripts on the other hand most of the time. So, if you see Google Analytics or Google Ads being used on a site, chance is high that Google third party cookies are saved to your system. Since services that drop cookies on systems can process those cookies whenever sites that embed their scripts are accessed, it is possible to use them for tracking purpose. The first thing you may want to check is how many cookies are saved on your system right now. Note that cookies are browser and profile dependent. If you use multiple browsers or different profiles, then you will notice that cookies are independent of each other in this case. Tap on the Alt-key on your keyboard and select Tools > Options. Switch to Privacy and select Show Cookies. Note that this is only visible on the page if you have set the history to "use custom settings for history". The cookies window displays sites and the cookies they have saved to your system. Load chrome://settings/cookies in the browser's address bar. Press the Alt-key and select Tools > Internet Options. Select the General tab if it is not active and click on the Settings button. Here you need to click on View files which opens the temporary Internet files folder in Windows Explorer. IE Cookies View displays all Internet Explorer cookies saved to the system (Windows-only). Mozilla Cookies View does the same for Mozilla-based browsers (Windows-only). Chrome Cookies View does the same for Chrome-based browsers (Windows-only). The easiest way to find out how many cookies a site saves to your system is to use the Developer Tools that are included in your browser of choice. 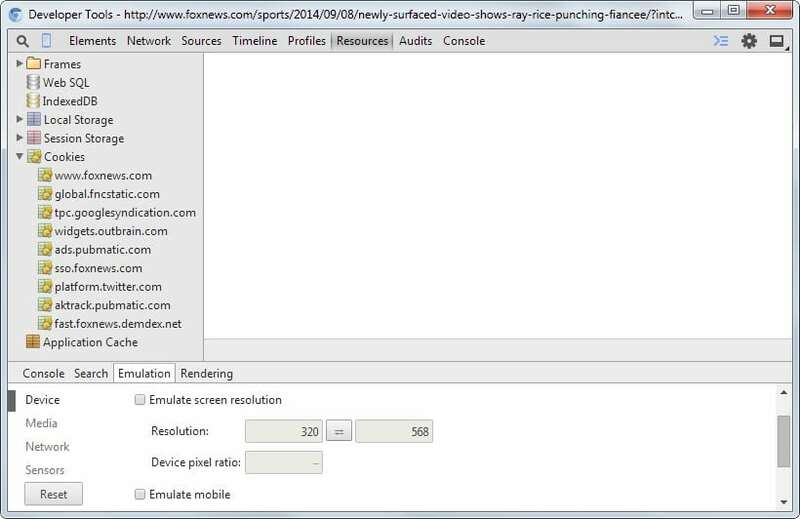 Hit F12 to open the Developer Tools of the browser. Switch to the storage tab here and load websites as usual in the browser. Once you do, all cookies that a site saves are displayed here among other information. Hit F12 to open the Developer Tools window in Chrome. Switch to resources and there to cookies. Here you find all cookies listed by the site in the active tab. Hit F12 to open the Internet Explorer Developer Tools. Switch to Network > Details, and there to cookies. All cookies saved by the site in the active tab are listed here. Now that you know how many and which cookies sites save to your system, you may want to do something about it. One of the easiest options is to disable third-party cookies completely in the browser. Firefox: Press Alt, select Tools > Options, then Use custom settings for history under Privacy and Security, and there Never next to "accept third-party cookies". Chrome: Load chrome://settings/ in the browser, click on Advanced, then on Site Settings and there on Cookies. There you check "block third-party cookies". 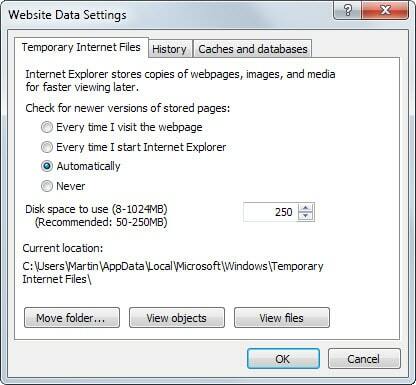 Internet Explorer: Tap on the Alt-key and select Tools > Internet Options. Switch to Privacy and click on Advanced there. Check "Override automatic cookie handling" and switch third-party cookies to block. Microsoft Edge: Start with a click on the Menu-icon and then on Setings. Scroll down to Advanced settings and click on the button underneath it (named view advanced settings). Scroll down to cookies and select "block only third-party cookies" from the menu. Opera: Load opera://settings/, switch to Privacy & security, and make sure "block third-party cookies and site data" is checked there. You can also switch the settings to prompt instead. This will displays a prompt whenever a site wants to save a cookie to your system. Cookie Controller for Firefox improves cookie management in the browser. Self-Destructing Cookies for Firefox removes cookies automatically when you leave a site. Tab Cookies for Chrome deletes cookies once you close a tab. Favor another add-on? Please share it in the comment section below. The guide walks you through the steps of finding out which cookies a site saves on your computer when you connect to it. A very good thing that these 3d-party cookies be reminded here, and a very bad thing that this feature is not an opt-in one moreover when it is known that 80% or so of new users of a browser take default options as they are. Cookies, as mentioned in this article, are not basically a bad thing, like canvas processing more recently for instance, but unfortunately, even with 3d-part cookies moved out, they have become quasi systematic when used as a simple tracking feature. It’s all what you use them for, like many things. Problem here is that it’s rather what they are used for rather than what you use them for. I prefer CCleaner with the option system watching enabled, or Sandboxie. Both can clean cookies every time you close the browser or exclude the one you like to keep. The problem about addons are that it can’t clean all cookies such flash or other “intelligent” cookies because how can they clean it if Firefox if still opened? The browser needs to be fully closed to delete everything and that’s the biggest problem. There are some external addon cleaners like BetterPrivacy have an option for these cases, but that doesn’t work every time. Some AV’s also include some options like Kaspersky’s “Privacy Cleaner” option. But personally I prefer CCleaner, it’s small, fast, free and it’s configurable via winapp2.ini. Options > Cookies > Cookies on Computer > Cookies to keep. Those on the left side will be deleted when CCleaner is run. There also is an option to show cookies in WinPatrol. I use in FF the add-on Self-Destructing Cookies 0.4.5 in combination with KeepassX. Self-Destructing Cookies is buggy. I use it too, but it leaves about 10% of cookies on the system for hours. This extension gives you a lot of control, even for specific pages within a site. Except for approx 20 sites, I never see any cookies. These 20 odd sites are also excluded in my CCleaner. They are simply a handful of sites that require them for logins, or in the case of about five, to remember the color scheme or session settings (dark theme on Ars Technica for example). Eveything else is blocked. In other words – all dom, all 1st domain cookies, all 3rd parties are blocked by default. Note: If my FF is too tightly secured that something breaks – I can use my chrome portable or opera portable or palemoon portable etc (each has various elements of security relaxed a little). But don’t compromise on your main browser. Thanks for the article all the same, Martin! Still very useful. You could change the setting to “from visited” which should resolve the issue. Cookie Monster allows you to set permissions on a per site basis. Selective Cookie Delete allows you to white-list and black-list cookies and delete black-listed cookies on demand or then you can have FF use Selective Cookie Delete preferences when it deletes cookies upon exit. I use FireFox 42.0, and do not except cookies. I use the exceptions list for 3-4 I want to let in. According to Firefox, these are the only cookies that should be on my computer. I thought this was the case, because Firefox’s “Show cookies” would only show those that were allowed as exceptions. I hit F12 and went to storage, and no cookies show. Yet when I downloaded CCleaner, it found about 20 of them. I blocked them in Firefox, which I shouldn’t have to do, since I don’t accept cookies, but even that doesn’t work, they show up anyway. Wikipedia has about four, then Google (even though I don’t use Google), and others. I use Self-Destructing Cookies ans Blur, and they do nothing. Firefox’s privacy controls are a sham, there do make you think you can control them when you can’t. Is there any way to keep unwanted cookies out of my computer while still allowing the 3-4 I want? How many cookies can you save for your webapp on a browser? which of the following can affect the usage of cookies.